In the early 1990s, Mark Attwood was intrigued by the concept of limited edition artists' books that were a collection of work by a "randomly" selected group of artists. Whilst studying at Tamarind he put together a book titled "Another day in Paradise". On returning to South Africa and after setting up The Artists' Press he fell into conversation with Wayne Barker and Robert Weinek who had opened a gallery space in the centre of Johannesburg in a collapsing building. Way ahead of their time, the space held a number of pioneering exhibitions, exhibiting among others William Kentridge and Steven Cohen.The gallery was called FIG (Famous International Gallery) despite being almost completely unknown. It was decided to do an artists book titled GIF (Fig spelt backwards) and a play on the street slang word gif, which means poison in Afrikaans. The book would be a non-commercial project and would be in an edition of 101. Word was put out and people were invited to submit work (in whatever format they chose, the only limit was size) in an edition of 101. In return, they would get a copy of the book. Income generated from sales would cover paper, binding and distribution. Across all three books, the range of work is madly eclectic and includes a banana print, octopus print, Formica and rivet, frottage, photocopies, etching, lithography, plastic shopping bags and embroidery, linocuts and monoprints. 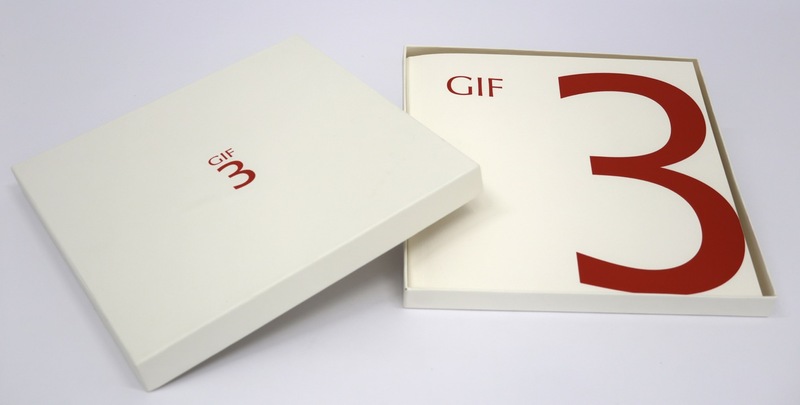 GIF 1 was launched in 1992 and sold for R 50 per book. Artists who contributed include Kendall Geers, David Koloane, Brett Murray, Durant Sihlali and Minette Vari. GIF 2 was launched in 1994 and sold for R 425 per book (the cover consists of two bronzes by Guy du Toit and he needed to help to pay for the casting, so the price helped him to recoup his costs). Artists include Wayne Barker, Kim Berman, Lisa Brice and Sue Williamson. One of the books was included in The Smithsonian exhibition "An Odyssey in Print". GIF 3 has taken a little longer to arrive.... 2015 sees twenty-eight artists contributing. Artists include Kagiso Patrick Mautloa (who is the only artist to contribute work to all three GIFs), Claudette Schreuders, Hanneke Benadé, William Kentridge, Conrad Botes and Colbert Mashile. All three GIFs have been bought by The Smithsonian in Washington. The cost of GIF 3 was R 5 500, we limited the book to one book per customer and the edition is sold out. At the bottom of this page are links to all of the books produced at The Artists' Press. 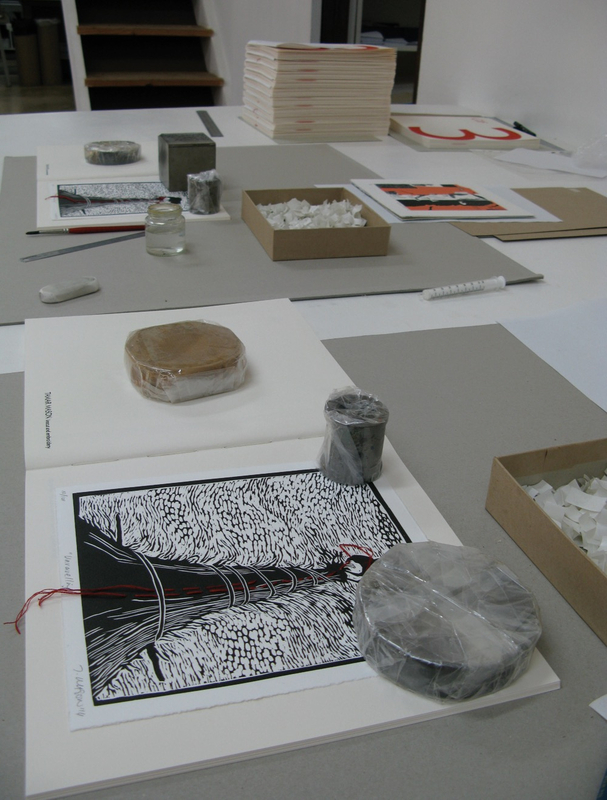 Tipping in the prints for GIF 3 (Tamar Mason's linocut in the foreground, Kagiso Patrick Mautloa's lithograph in the background).